We offer support for you on and off land. 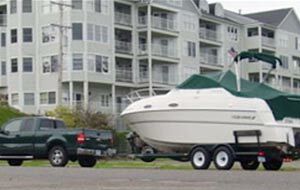 With our Trailer Assist add-on, you can rest easy knowing that you will be able to get to your dock even if you have problems with your trailer or car. 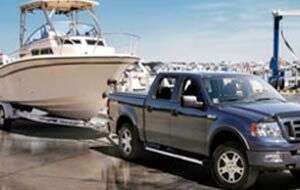 Roadside Assistance: Labor for flat tire assistance, fuel delivery, lockout service, or jump start of towing vehicle or boat trailer when either the trailer or towing vehicle suffers a breakdown while trailering the boat.